← TV6 Canathon Drop Off! Are you a reader that loves to curl up with a gratifyingly good book? 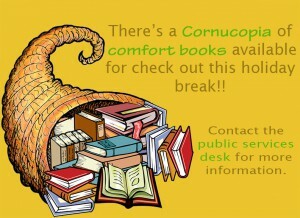 You can now find a display of comforting books purposefully designed for your holiday reading needs. 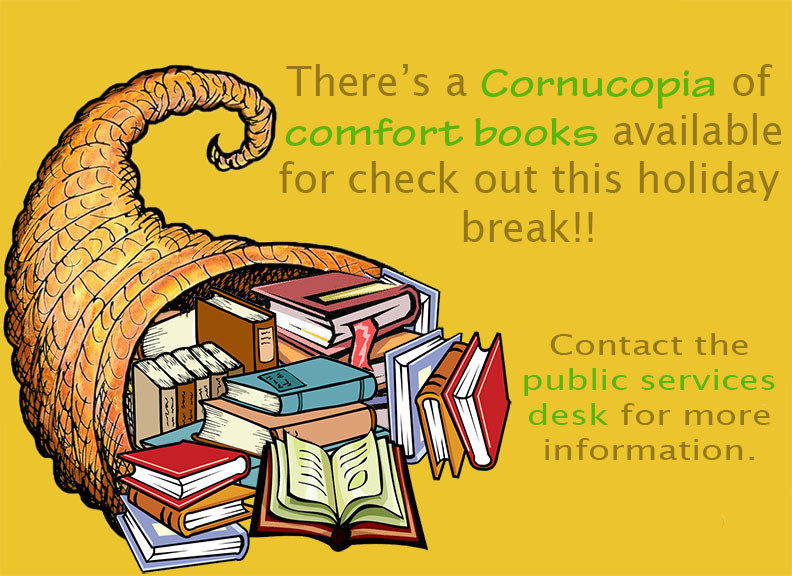 They are located in the lower shelving area by the big windows’ side of the library. Come check them out! We have included heaps of titles, from books by Roald Dahl to the Harry Potter series, and The Giver by Lois Lowry, among other generously great novels! Give yourself a treat and snuggle into a chair to comfortably read a satisfying book.